BRUSSELS, Belgium, March 29, 2011 (ENS) – Meat from the offspring of cloned animals could appear in stores across the European Union, with no one being any the wiser, after Member State government representatives early this morning refused the European Parliament’s demand to label clone-derived food products. The lack of agreement leaves the 1997 rules on novel foods in place, while sending proposals on the sale of new types of foods back for rethinking after three years of debate. EU Health Commissioner John Dalli said Tuesday it is a “great pity” that talks over food from the offspring of cloned animals broke down, because it opens a pathway for the unregulated entry of such products into the EU market. Dalli emphasized that “the scientific assessment we have on cattle is that there is absolutely no risk to health” from cloning. The first mammal cloned from an adult cell, Dolly the sheep, was created in 1996 and since then cows, pigs and goats also have been cloned, raising the question of whether or not cloned animals should be eaten. At the conciliation talks that lasted until the early hours of Tuesday morning, the European Parliament held out for bans on the sale of meat from cloned animals and their offspring and the use of cloning technology to produce food. The European Council of Ministers and the European Commission, the EU’s executive branch, backed a ban on cloning for food production, but rejected a ban on food from cloned offspring. Members of Parliament then proposed a compromise of labeling clone-derived meat. Council agreed only to label fresh beef, which MEPs found insufficient. MEPs cited a 2008 Eurobarometer survey that shows 63 percent of the 25,000 EU citizens surveyed are unlikely to buy food from cloned animals, while 61 percent find animal cloning morally wrong. Special labeling should be required according to 83 percent of respondents, if food products from cloned animals became available in the shops. But EU governments rejected the compromise, saying there was a risk of getting into a “full blown trade war” with countries that already export food products derived from the young of cloned animals, such as the United States. The United States has a voluntary moratorium on the sale of food from cloned animals but not from their offspring. 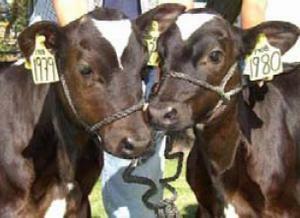 The use of cloning for food production is not currently widespread in Europe. “It is deeply frustrating that the Council would not listen to public opinion,” said Gianni Pittella, chair of the parliamentary delegation to the Conciliation Committee talks and the EP rapporteur on novel foods, Kartika Liotard, in a joint statement. Currently, there are no EU rules specifically allowing or banning dairy products and meat from cloned animals. The European Commission and Council wanted to regulate the products under the novel foods rules, while MEPs wanted them to be dealt with separately. Foods are considered “novel” if they are derived from new technological processes or if they have no significant history of consumption in the EU. The rules require authorization for the sale of food from cloned animals, but not its offspring or descendants. There have been no applications so far. A non-public EU Commission paper confirms that food from the offspring of cloned animals is already on the European market. The animal foods get into the market via the import of breeding material from the United States. The paper warns that as a reaction to an EU ban on offspring of cloned animals the United States could introduce sanctions that would hit “our exports for a value of approximately 250 million euros per year” and restart litigation on other food issues such as genetically modified organisms. An umbrella group representing animal welfare organizations in all EU Member States said its members were “deeply distressed” that agreement was not reached on the Novel Food Directive. Eurogroup for Animals said the lack of agreement will now allow the sale and import of food from cloned animals to continue unchecked against the wishes of Europe’s citizens and will result in cloning physically taking place in the European Union. Animal cloning uses DNA transfer or embryo splitting to create an exact genetic copy of an animal. The process has a success rate below 20 percent, with most cloned animals dying during or shortly after birth. 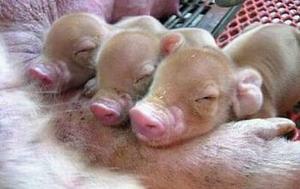 Cloned animals die younger and suffer more defects than normal animals, the Eurogroup for Animals points out. Many clones suffer from defects such as contracted tendons, respiratory failure, limb and head deformities, heart disease and kidney problems. Dolly the sheep, the first mammal cloned from an adult cell, had to be put down at the early age of six after developing arthritis and lung disease. Cloning for food is being opposed in Europe by organizations such as Scientists for Global Responsibility, Friends of the Earth, Centre for Sustainable Alternatives, European Public Health Alliance, European Farmers Coordination, the International Federation of Organic Agriculture Movements, FARM, Biodynamic Agricultural Association, and Euro Coop, the European Association of Consumer Cooperatives. “The finger must be pointed directly at the Commission which, during the whole legislative process has ignored the views of its own citizens and consumers while putting its trade relations with the U.S. first,” said Sonja van Tichelen,” director of Eurogroup for Animals.